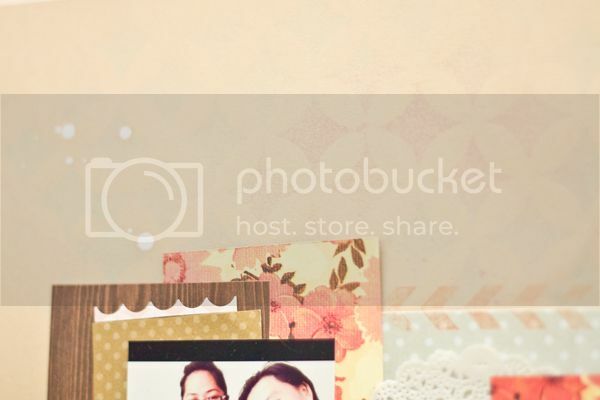 This layout is very special for me because it's my maternal grandma aka Popo. We celebrated her b'day on the May 1st and she was so excited that she got to eat one of her fav food : Kentucky Fried Chicken. Yes I kid you not! She really enjoys that! Lol. 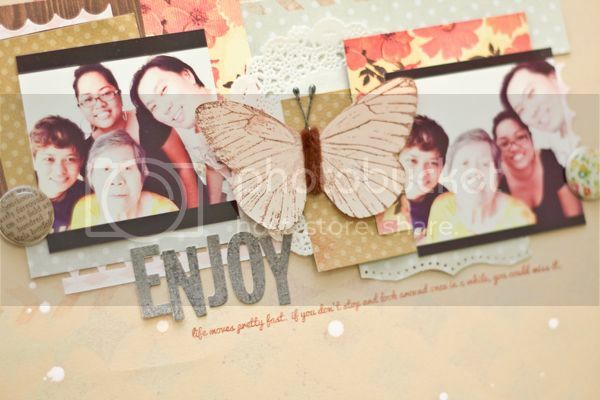 Heart that butterfly and the subtle misting I created for this layout. Oh yeah not forgetting the chevron stamp! 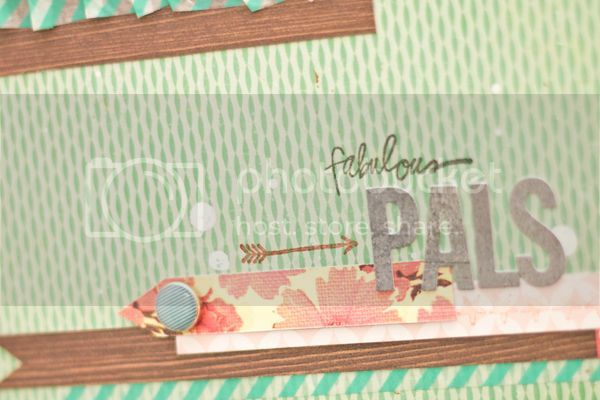 I seriously heart the green background and the washi tape and couldn't resist to do another quick layout. That's our dear friend, Vijay. We met up with him last year and we had eating session. Malaysia is all about food! Haha. 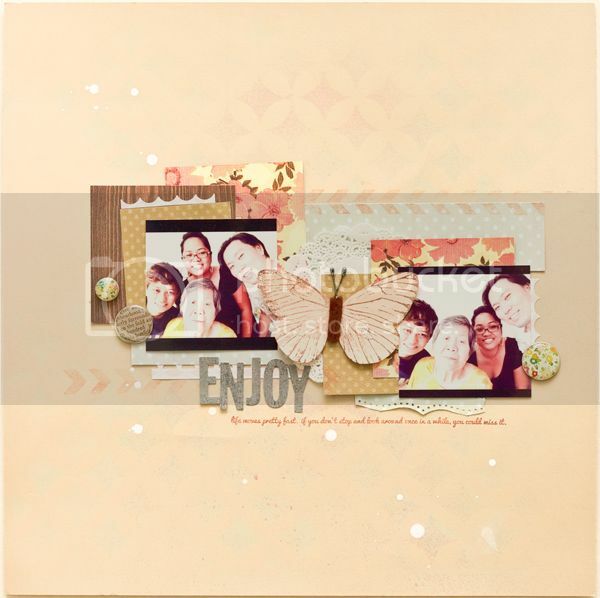 I was so fortunate to grab Heidi Swapp's latest stamp called Memory File and heart it to bits!! Thank you for coming by again! 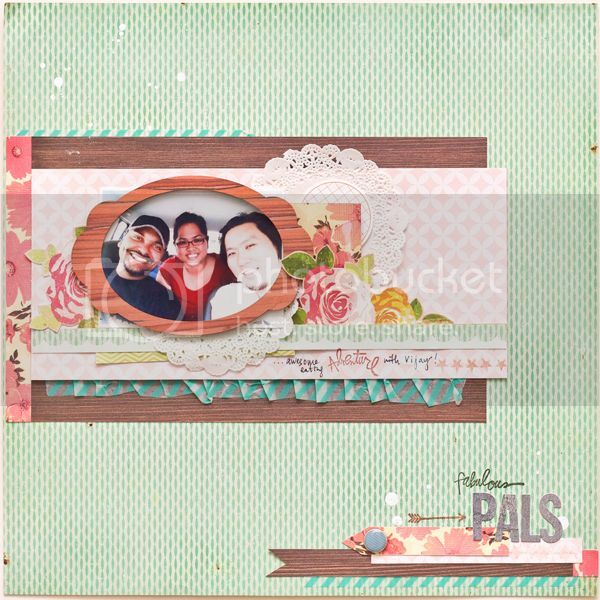 Love the layouts....your style is so fabulous. These are gorgeous Jessy!!! 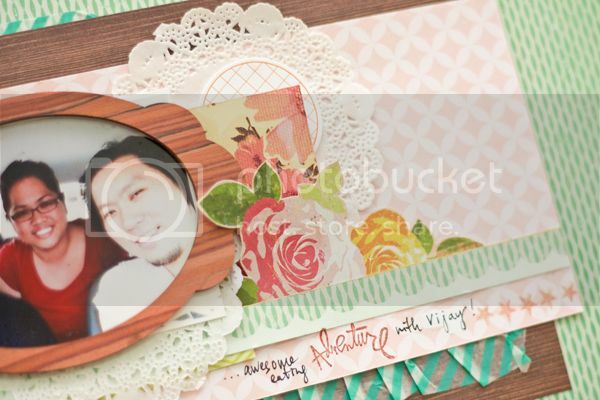 LOVING that butterfly on the first one and loveeeeeeeeee that wood grain frame on the second one!! Well these layouts are fantastic girl and your grandma sound like a fun lady! This is gorgeous! I haven't used the butterflies from my kit yet, but will soon! Gorgeous! Love all the detail and colors and your grandmother is just precious. The food sounds yummy! I still have April and May's kits sitting, one day I will play too! Oh Jessy this is stunning! I LOVE your layouts! Love these both so much. That butterfly is perfect on the first one and the colors are amazing on the second one!